Do the words Wholesale Account or Wellness Advocate scare you? They shouldn’t! A lot of people misunderstand what a wholesale account is. I will demystify it for you. It’s basically like having a Costco membership, but with the ability to go to the front desk and say “Hey, I love your products so much, I’d like to be a Costco too. But on my terms.” Some people love that option, some people aren’t interested at all, but it is just that. An option. Are you getting the idea? There are tons of opportunities, programs, and bonuses available to everyone who carries a wholesale account, but it doesn’t mean that they have to use them. Heck, I just found out my Costco membership offers amazing discounts on car rentals and vacations. Will I ever use them for my vacations, probably not, but you can bet I’m using them on my trips where I have to rent a car! The deepest discount: 25% savings on everything you purchase—no minimums. I can personally come out, present at your event, and provide training to help get you started! 6. Fill out your name, billing address, shipping address, and contact info. 7. Select your time zone and choose a virtual office password. 9. Select your enrollment order. This is where you can specify which enrollment kit you would like -OR- if you’d rather not start with a kit, simply select the Introductory Packet ($35) option and add any items you would like to order. 10. That’s it- congratulations on starting your doTERRA adventure! You will receive a confirmation email– you can log into your back office right away to manage orders! 11. Understanding how to use the oils, what to use them for, how to reach your overall health goals, and how to use your account is very important to me. As a holistic health coach, personal trainer, and essential oil expert, I am offering a free one on one session with me ($60 Value) to new members who schedule within their first 30 days. (we can do it in person, over the phone, or through video chat). 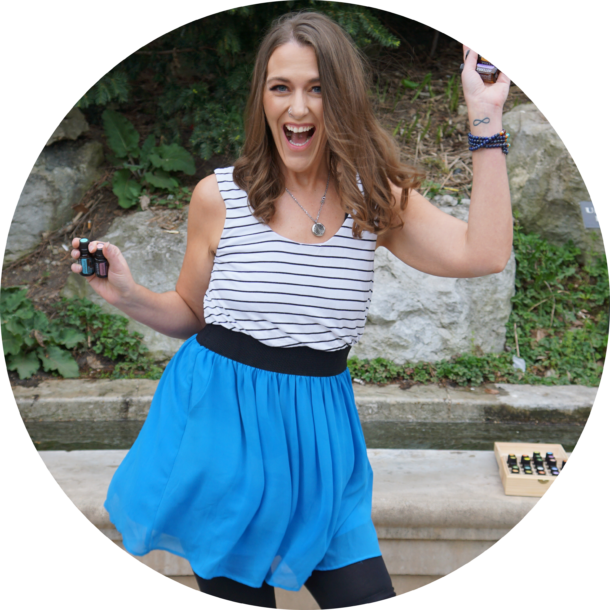 Ready to Get EXCITED About Essential Oils? Are your oils just sitting around collecting dust? Want to do more with them, but not sure how? Maybe you've heard of essential oils but don't even know where to start. Join the free 5 Day Challenge to start using and benefitting from your essential oils. Open the door to resources that are going to rock your world!